"A simple and spicy dish that will impress your friends. 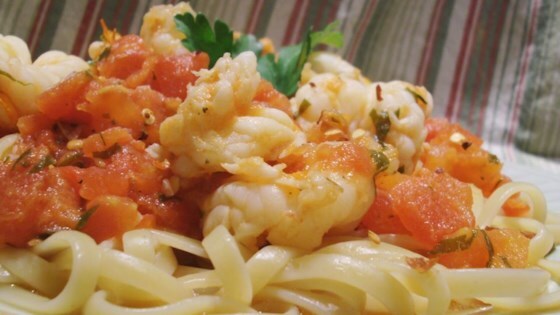 Save time by buying shrimp that's already cooked and peeled." Wonderful! Very tomato-y. Will be making again.